Discover how to take your bookmarking to another level with our 12 part social bookmark riches video tutorial series. Boost traffic and get indexed faster. As Internet Marketers, we are always looking for methods to get our websites indexed quickly and ranking well. Let’s face it, the longer a website is not indexed, the more money it is costing us and the lower we rank in the search engines the worse our earnings will be. Traffic and rankings are the number one problem that Internet marketers face. Without them an online marketer has no business so it is a constant battle to get more traffic and to get ranking quickly. There are many guides promising to show you how to do this but they either cost the earth or are incredibly difficult to do, requiring specific technical information and abilities or expensive tools. What if there was a way for you to increase your traffic and get your new sites indexed rapidly and it didn’t have to cost you a penny? Sure you would! You’d love to know how to get your websites indexed in hours instead of days or even weeks. You’d love to know how to avoid the dreaded Google Sandpit and how to shoot up the search engine rankings. At the end of the day, if you can do this then you are looking at increasing your profit’s from your online business. The Social Bookmark Riches Video eCourse has been specially created to address the issues above. We’re all fed up of getting sand pitted and struggling to get higher rankings in the search engines. This twelve part video course will walk you through the entire process of using social bookmarks to massively improve your business. By the time you’ve finished watching it you will know the most effective ways to use social bookmarking on your websites. This Bookmark Riches Video eCourse will reveal everything you need to know about generating backlinks from social bookmarking. Whatever your skill level as an Internet Marketer you will learn valuable tips and tricks in this Video eCourse that will help you to increase your traffic and profit’s. 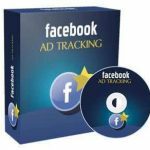 Many people tell you to bookmark your webpages and may even show you one or two places to actually do the bookmarking, but no one will show you everything that is contained in this Video eCourse. Social bookmarking isn’t a complex subject, but to be used properly it needs to be understood. Few marketers discuss social bookmarking beyond the “you must do it” stage. In just a few minutes you can have your hands on the only step by step guide to social bookmarking that will show you exactly how you can rapidly increase your backlinks to your site without actually spending any money! Some of these backlinks can be incredibly valuable and in Video 9 you will learn about two sites in particularly where you can get thousands of visitors a day … but only if you give them what they want! You will also learn exactly what to bookmark and why you must ensure your bookmarks aren’t deleted! What many people don’t realise is that many of these sites delete bookmarks what aren’t very popular and this can be fatal to your rankings! In the Social Bookmark Riches Video eCourse you will learn exactly how to avoid this fate. With an effective social bookmarking strategy (which you will learn in this Video eCourse) you can get your websites indexed in hours. In fact, you can get the Googlebot to your brand new website to spider it in just a few minutes! Imagine never having a website sandboxed by Google again? With an effective social bookmarking strategy you can dramatically improve the ranking of your websites in the search engines with hundreds of effective backlinks pointing to your sites. Learn exactly how you can do this and how to ensure that all of your bookmarks look completely natural and are accepted. If you know exactly what to social bookmark you can get thousands of visitors in a day from the social bookmarking sites. What if you knew how to do that? 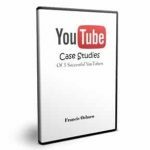 You will learn exactly how to do that in this video Video eCourse. There are people who get masses of traffic from social bookmarking sites and you could shortly be one of them! Social bookmarking is an incredibly powerful way for you to get traffic and get rankings … but only if you know how to use it effectively. And this is what you will learn when you invest in the Social Bookmark Riches Video eCourse. The Social Bookmark Riches Video eCourse will reveal in step by step format this closely guarded information to help you massively increase your profit’s. Learn one of the best places to get natural social bookmarks for one or two cents a bookmark! See a free way that takes 15 – 20 minutes and gets you 50 social bookmarking buttons! If you are just bookmarking the odd page here and there and not getting the amazing results you have heard about, then you need to Social Bookmark Riches Video eCourse. What if you could completely, 100% automate your social bookmarking of your websites without ever lifting a finger? What if you could outsource your bookmarking for a cent a bookmark? Yes, one single cent! Would you be interested in learning more? What if you could enjoy thousands of visitors a day from social bookmarking sites by submitting the type of information their visitors are dying to see? Much of this information has never really been talked about in the open. The big name marketers are quietly enjoying many benefit’s from social bookmarking and not telling anyone about them! This is your chance to get in on the act and seriously benefit from these free to use sites. In fact, you will be shocked when you realise how easy it is to get massive benefit’s from social bookmarking! In this twelve part social bookmark riches training course you will learn everything you need to know to boost your business from social bookmarks. In fact, video 5 is worth it’s weight in gold with the amount of time and money it will save you! Today you have this opportunity to massively increase your business from social bookmarking. Check it out, you are guaranteed to love what you see.